The plan is to stay at one of the Grasmere youth hostels, drive up to Wythburn before breakfast and cycle (net downhill) back to the hostel. After breakfast, do this A to B route knowing that the car is waiting for me at Wythburn. 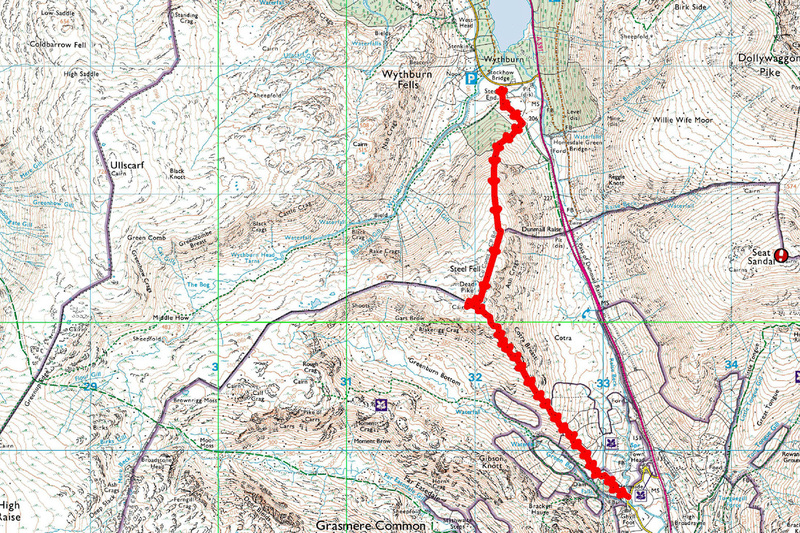 I seem to remember including Steel Fell as part of the Lake 3000s bt maybe I went down by the Wyth Burn. There was certainly a food stop at Steel End.